n my lifetime, I’ve had maybe only a dozen days like the one I woke up to this morning. It’s that rare day that a new film of mine will have its World Premiere, and that is what will happen tonight for FAHRENHEIT 11/9 at the Opening Night kick-off of the Toronto International Film Festival, North America’s premiere film event. I am just hours away from that moment when the lights will dim, the curtain will rise and my work, with all its revelations and warnings and dangerous ideas — well, dangerous politically to a President who has no intention of ever leaving office unless the Secret Service physically remove him — will be shared with the world. This siren call of a movie is my contribution to ignite the fire underneath a despairing, dispirited public who must — MUST — do its job and end the madness at 1600 Pennsylvania Avenue. I have spent the better part of this year constructing a film that will not only explain how the @#&% we ended up with Trump, but also help show us the way out. I must warn you — I do not pull ANY punches in the film. No one is spared – not even me. It is already being talked about in the press I saw this morning as one of the most “anticipated” films of the fall. There’s already a wonderful piece in The Hollywood Reporter (which I’ll post later). I especially liked Time Out NY listing it as one of the must-see “horror movies” of the year! Haha. THAT it is. But here’s what I want to say to you, from my heart: FAHRENHEIT 11/9 is the moment of truth we’ve needed for some time, and I truly believe its release nationwide on Sept. 21st will be the real beginning of the end for Donald J. Trump (and perhaps, more importantly, the eventual end of the rotten, corrupt system that gave us Trump in the first place). I also believe we will have, as we approach November 6th, a massive tsunami of women, young people and people of color (i.e., TWO-THIRDS of the American public) who maybe — just maybe — will drown the whole stinkin’ lot of them in a record number of ballots for a midterm election. But this will not happen on its own — and any early celebrations of victory like those that happened in 2016 are sure to keep the Republicans in power for years to come. Donald Trump did not just fall from the sky. His rise to the presidency was not an aberration and should not have come as a shock. It was the logical end result of a long, downward spiral in the U.S. that culminated in one of our most loathsome citizens conquering our most powerful office. One of our most deceptive minds commanding the bully pulpit. One of our most fraudulent hucksters armed with the powers of the presidency to protect him. Ever since that fateful morning, at 2:29 AM on 11/9/16, when the Associated Press officially called the election for Trump, we have been trying to save what’s left of our democracy. This is not a film telling you what a jerk Donald Trump is or what an buffoon Donald Trump is or what a liar Donald Trump is. You already know ALL of that. Everybody already knows all of that (except for your conservative brother-in-law whose mind you’ll never be able to change). I wouldn’t waste your time or my time making that kind of film. And with all due respect to your conservative brother-in-law, we don’t need him. We’re the majority in this country, he’s the minority, he knows it and that’s why he’s so mad! Instead, my team and I have been on a mission to tell a much, much more important story. It’s a story about false hope and what happens when we get suckered in. It’s a story about deception and betrayal. It’s a story about what happens to a nation when it’s hit rock bottom. It’s the story about who we are as a people and what it means to be an American in the era of Donald J. Trump. Finally, it’s a story about where we might be heading as a society. My crew and I have moved heaven and earth to make sure we deliver this film to you in time to have an impact on this year’s midterm elections. I’m excited to announce to you that “Fahrenheit 11/9” will open in more movie theaters than any of my previous films — over 1,500 theaters across America! We open nationwide on September 21st, 45 days before the most important election in American history (and with voter registration still open nationwide!). I’ve made a film that is specifically meant to be seen on a big screen, in a dark theater, filled hundreds of your fellow Americans. My hope is that you will experience FAHRENHEIT 11/9 this way and not home alone on a computer or phone. There will be no streaming before the election. The movie works best as a big shared experience. It’s the best way to truly absorb the big story I’m telling you. Any bit of anger, despair, or frustration you’ve felt over the past few years must be channeled into action this fall! I am now on my way to Toronto. I don’t have to make a run for the border a la “The Handmaid’s Tale” — yet. For tonight, I’ll just be showing a movie. 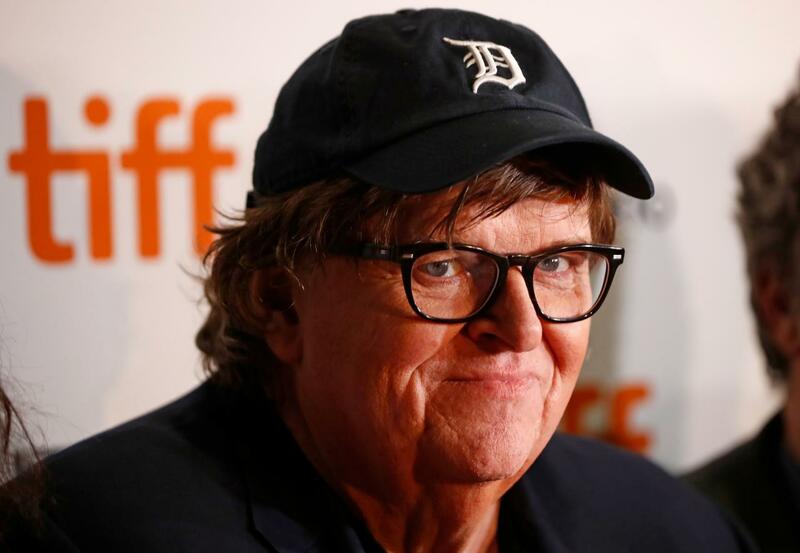 Then on Monday night in Flint, I will hold the US premiere of FAHRENHEIT 11/9. After that, everyone will have the chance to see it. We are the majority — never forget that. But we need to rise up. That’s the only way out of this mess. Tune in to Facebook Live tonight and I’ll bring you on the stage with me!